I love making ice cream – it’s so easy, and you can make it virtually any flavor you desire just by adding whatever you’re in the mood for to the base, giving you a chance to be creative. 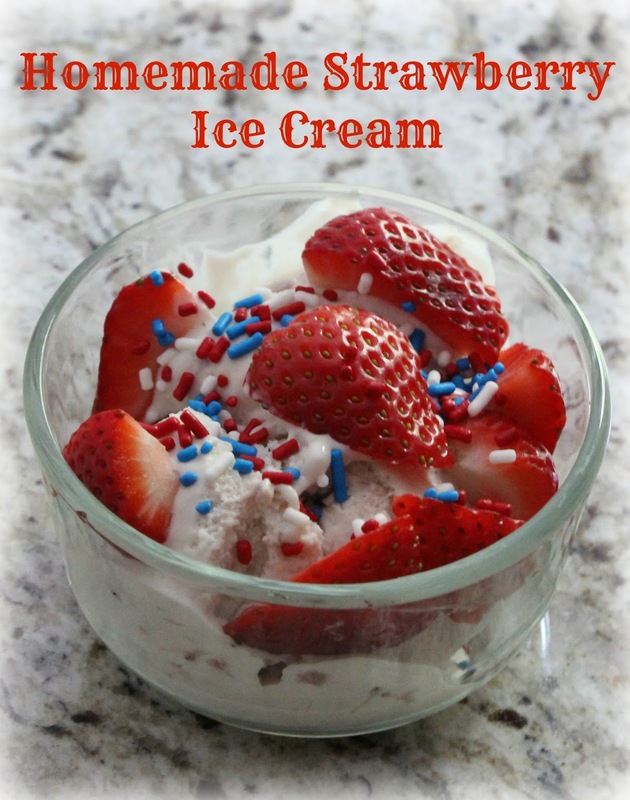 This week, since it’s the week of Independence Day, I thought fresh strawberries would make for the perfect flavor, and we could work with the red, white and blue theme and make it patriotic ice cream. 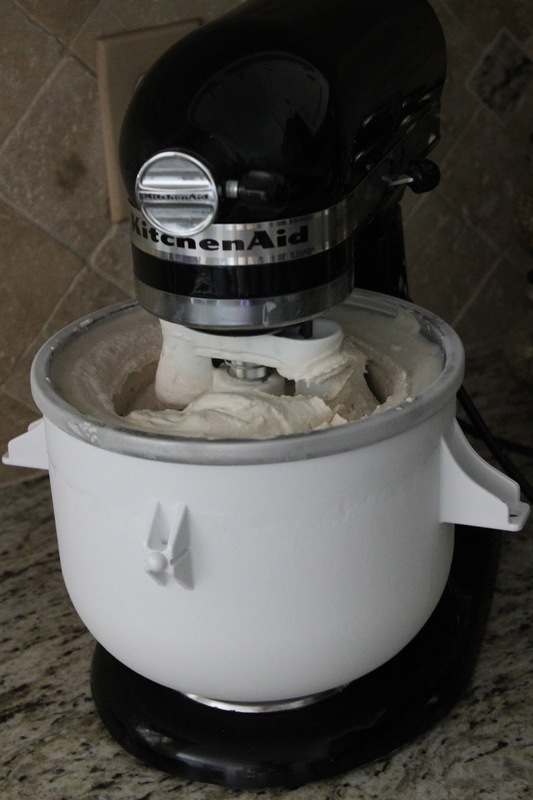 This is my absolute favorite ice cream base recipe, and I’ve gone through quite a few of them. 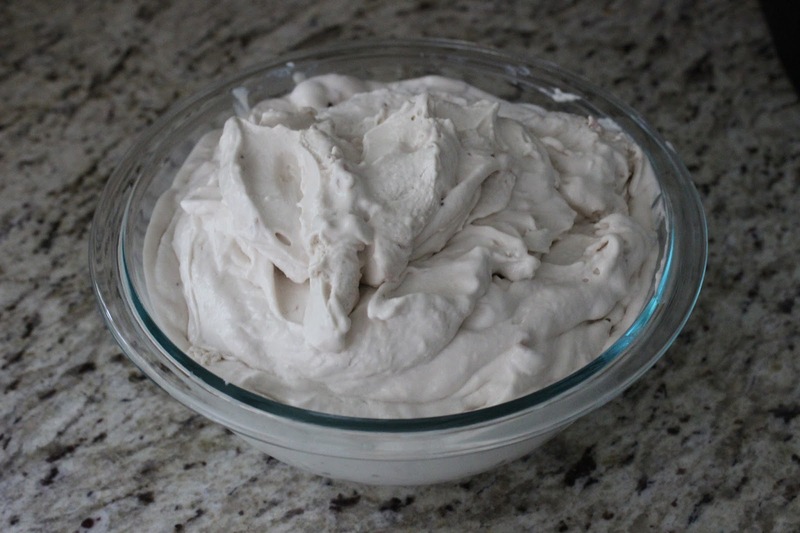 It needs a little more time to sit in the fridge than other recipes (make it the day before you want to serve the ice cream), but it is well worth it, and still fairly easy to make. 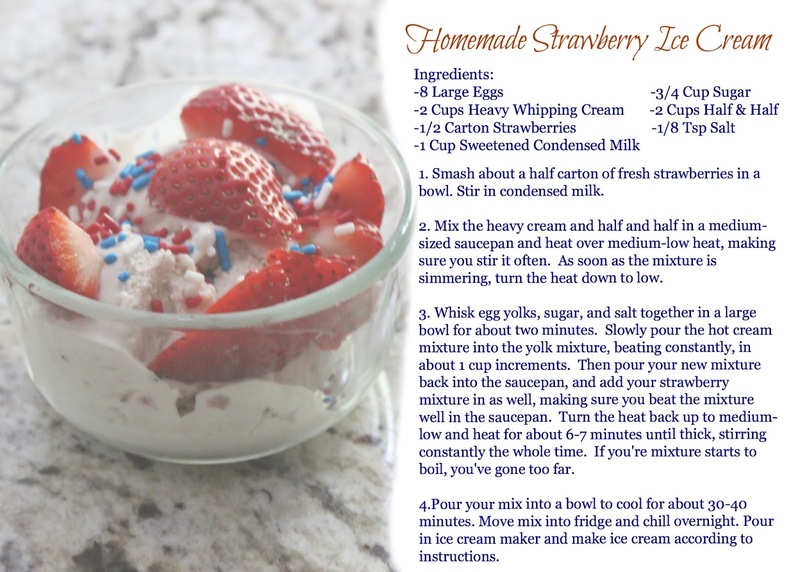 The only ingredients that are not part of the base are the strawberries and sweetened condensed milk. I typically add the sweetened condensed milk to the ice cream base no matter what flavor I’m using unless what I’m adding is already super sweet. For example, I add it with most fruits, but left it out when I made donut ice cream (which was amazing, I must add). Smash about a half carton of fresh strawberries in a bowl. Use more or less strawberries based on how strong you want the flavor to be. 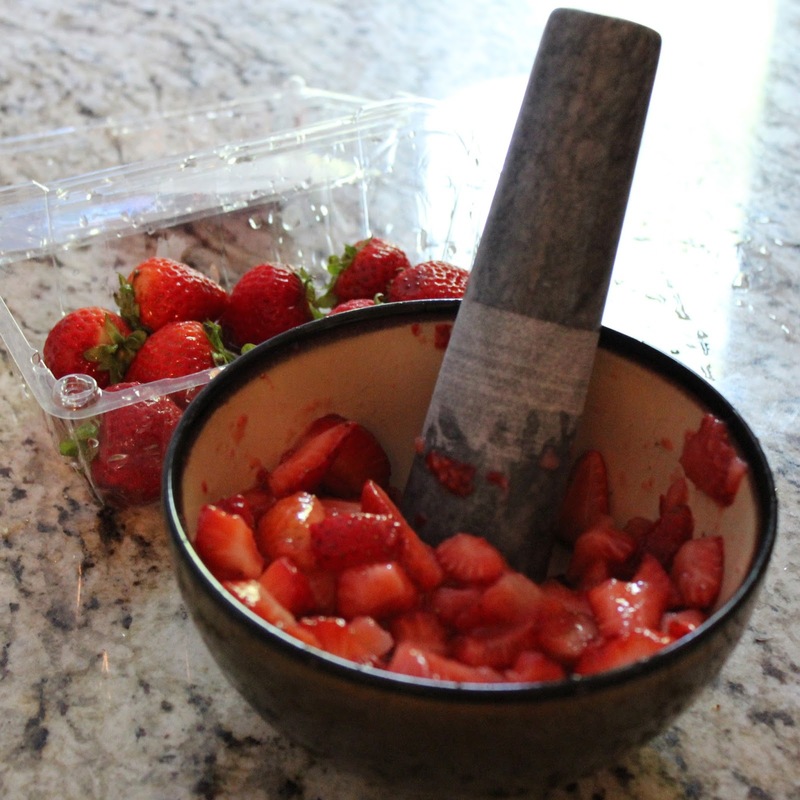 You can also throw your strawberries in a blender or food processor if you want less/smaller strawberry chunks in your ice cream. Once you have your strawberries the texture/consistency that you want, mix in the condensed milk and set aside. 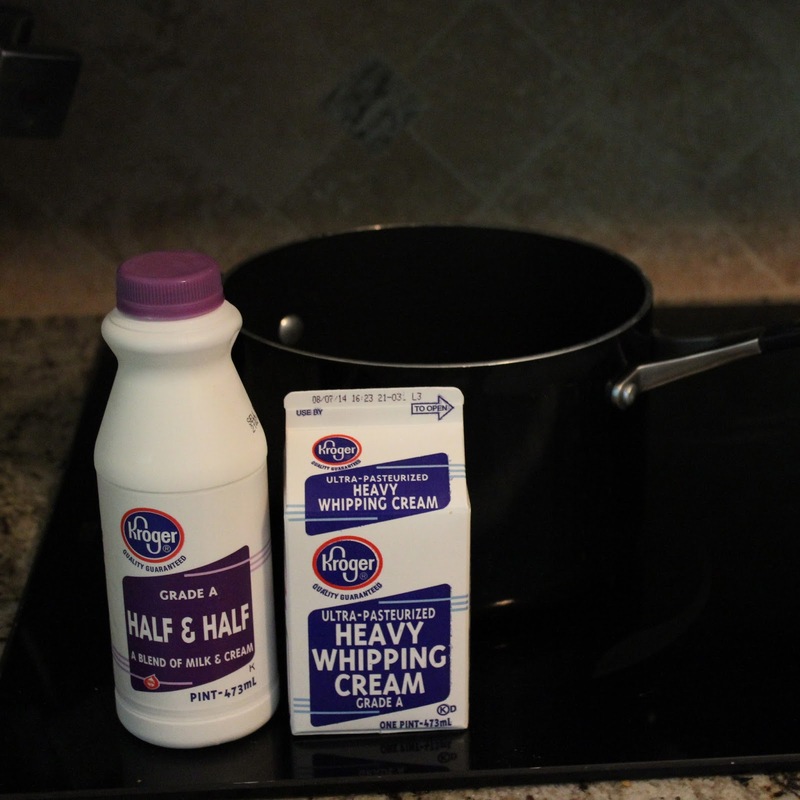 Mix the heavy cream and half and half in a medium-sized saucepan and heat over medium-low heat, making sure you stir it often. As soon as the mixture is simmering, turn the heat down to low. 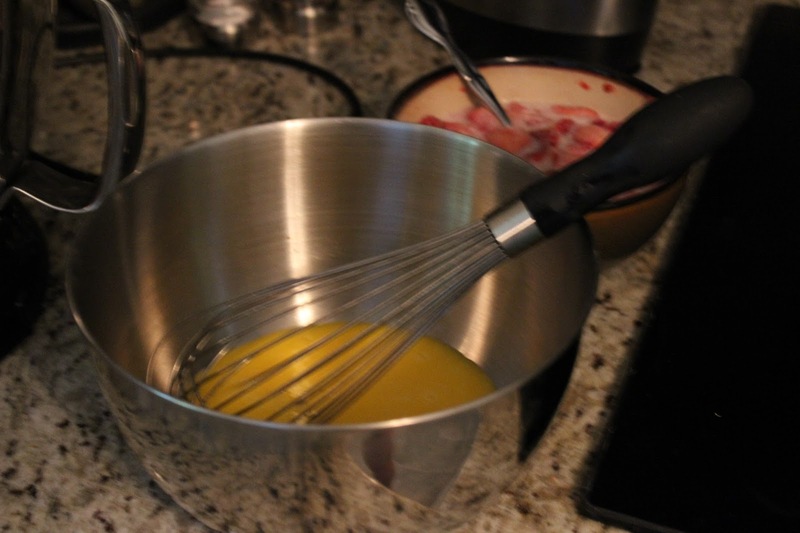 On your stirring breaks, go ahead and and whisk your egg yolks, sugar, and salt together in a large bowl for about two minutes. 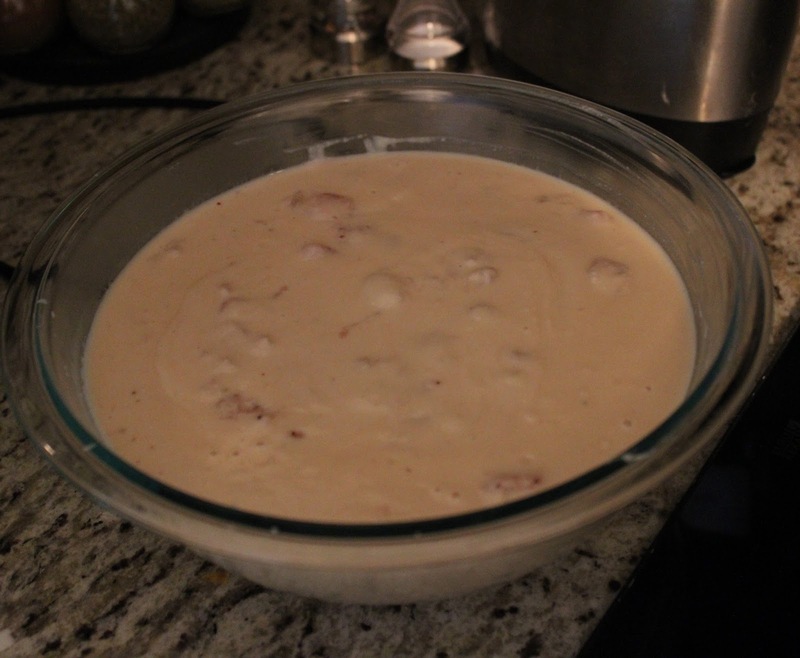 Slowly pour the hot cream mixture into the yolk mixture, beating constantly, in about 1 cup increments. Then pour your new mixture back into the saucepan, and add your strawberry mixture in as well, making sure you beat the mixture well in the saucepan. Turn the heat back up to medium-low and heat for about 6-7 minutes until thick, stirring constantly the whole time. If you’re mixture starts to boil, you’ve gone too far and need to take it off the heat ASAP. Pour your mix into a bowl to cool for about 30-40 minutes. It should look something like the picture below. Move your mixture into the fridge and leave it overnight. Top your ice cream the way you like it and enjoy!!! I think next week I’m going to make green tea ice cream… can’t wait!